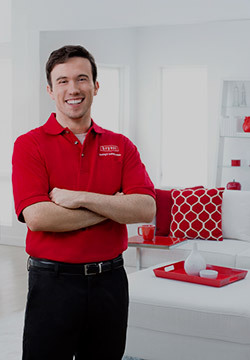 We provide residents of Washington with excellent & outstanding heating maintenance. Need the best air conditioner repair in town? Call Island Heating & Air Conditioning! There’s no better time than now to find the perfect heating and air conditioning company to help you with all of your heating and air conditioning needs. When the snow starts to fall in winter or the temperature hits 90 plus degrees in summer, you want to know that your Heating and Air Conditioning Systems are working efficiently for you. Here at Island Heating & Air Conditioning, we have spent the few decades making sure that our clients are treated well and that their heating and AC solution needs are met. Don’t believe us? Keep on reading! Island Heating & Air Conditioning was founded in 1982. Our goal has been to create a business that could grow while honoring core traits such as honesty, integrity, trust, and experience. Here at Island Heating & Air Conditioning, we provide excellent services for all of your AC maintenance and furnace repair needs. We offer service to the entire Oak Harbor, WA region and surrounding areas. Our success has turned into your benefit thanks to a variety of our great traits and services. Experience You Can Trust – Our technicians are highly trained, field-tested, and professionally licensed to handle all of your furnace installation and AC service needs. Reliable At All Times – Not only do we offer emergency air conditioning repair and furnace replacement, but we also field test all of our products to make sure that they meet the standards we believe in. Whether you are looking for the furnace cost of a new product or merely a simple heat pump repair job, we have the knowledge to fulfill your needs. Honesty & Integrity – Island Heating & Air Conditioning could not have succeeded for this long without a track record of honesty and integrity. Our team is knowledgeable, informative, and fair. Free quotes and estimates offer no surprises and we don’t quit the job until you are happy with what you paid for. We also provide routine specials and competitive financing options. We pride ourselves on giving our customers quality indoor heating and air conditioning control all throughout the calendar year. You shouldn’t ever be without heating or cooling when you need it. Here are a few of the specific services and benefits that we offer our customers. We service Oak Harbor, Anacortes, Coupeville, and a number of surrounding areas throughout Washington. Call up our professional crew here at Island Heating & Air Conditioning, and we can get to the bottom of all your heating and air conditioning needs.